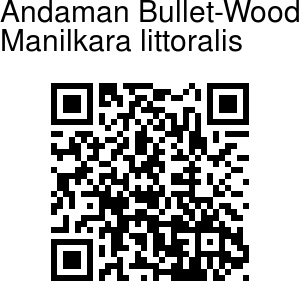 Andaman Bullet-Wood is a species of sea-shore forest in Andaman islands and some other SE Asian countries. 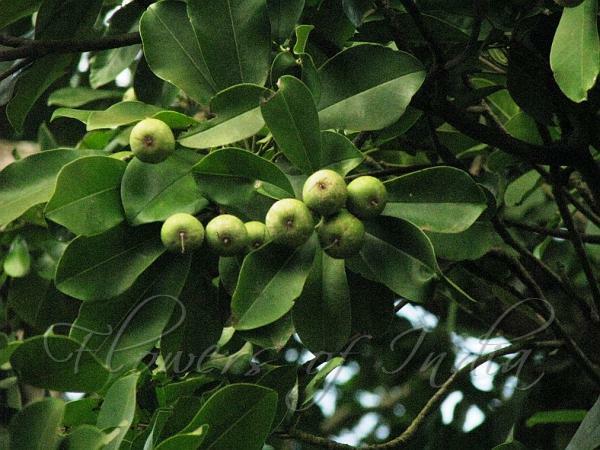 It is a tree 50-80 ft tall, with all parts quite hairless. Leaves are about 7.5 inches long and 3.75 inches broad. They are leathery, elliptic-obovate, with a wedge-shaped base, carried on a 2 cm long stalk. Flower-stalks are 1 inch long, clustered towards the end of branches, 1 in each axil. Flowers are 6-8 sepals, with 12-16 fertile stamens and as many staminodes. Fruit is 2.5-4 cm in diameter, 6-5 seeded.